Barry Le Va‘s pioneering scatter pieces on the floor, started in 1966, made him one of the first of the so-called Process artists. 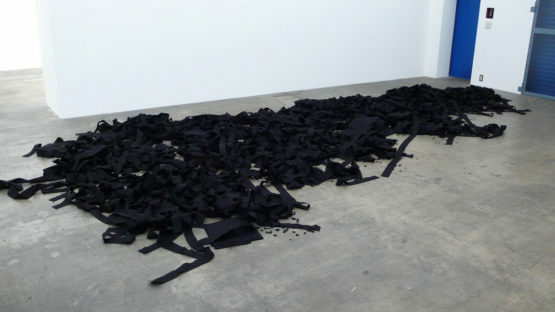 In 1969, he started to create works with cleavers embedded in walls or floors. More recently, he has produced monumental abstract works and site-specific installations.